Open Studio Night is an opportunity for people to gather at a studio to work on creative projects, get feedback, or collaborate. People are invited to bring current projects to work on; or they may find inspiration with the collage material on hand! 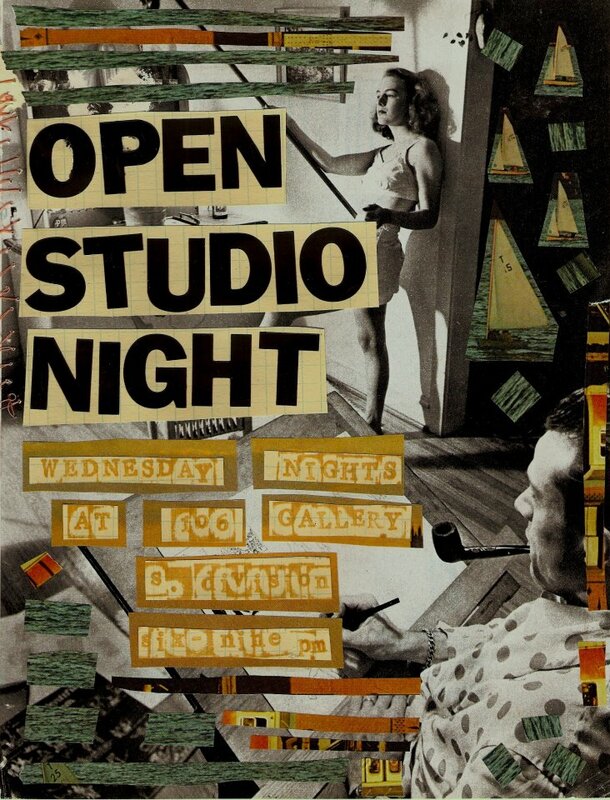 Open Studio night meets every Wednesday night from 6 – 9 PM (unless otherwise noted) at 106 Gallery. It is open to people from any discipline who wish to create. This entry was posted in (106), Events. Bookmark the permalink.